Drivers in the market for their next crossover will find the driver’s seat of the 2019 Buick Enclave is the perfect one for them. 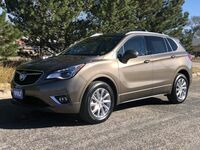 Combining convenience and reliability, this Buick is the perfect addition to any family looking for a luxurious crossover. The 2019 Buick Enclave is available in 10 showstopping exterior colors and four elite trims – Preferred, Essence, Premium, and Avenir - meaning this Buick can be customized to reflect any driver’s personal style. Are you looking to get behind the wheel of a new crossover but aren’t sure which model to pick? 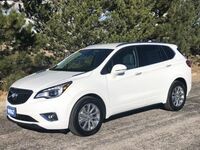 Continue reading this 2019 Buick Enclave vs 2019 Toyota Highlander comparison to see why so many drivers are choosing the Enclave. Click the link below to view our in-stock Buick models. What are the differences between the 2019 Buick Enclave and 2019 Toyota Highlander? 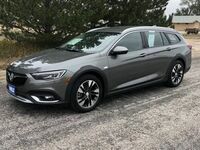 Under the hood of the 2019 Buick Enclave is a powerful 3.6-liter V6 engine paired with a 9-speed automatic transmission. This combination gives drivers a reliable EPA-estimated fuel economy of 20 city/30 highway MPG. This fuel economy paired with a 19-gallon fuel tank offers drivers a driving range of 380 city miles – 570 highway miles. The competing 2019 Toyota Highlander is powered by a 2.7-liter 4-cylinder engine paired with a 6-speed automatic transmission. The Highlander has earned an EPA-estimated 20 city/24 highway MPG fuel economy and has a driving range of 380 city miles – 460.8 highway miles. Inside the cabin of the 2019 Buick Enclave is the Buick Infotainment System with Navigation and an 8-inch diagonal color touch-screen display. Drivers and passengers can connect to the available 4G LTE Wi-Fi® hotspot in their Buick so they never lose signal or connection while on the road. The competing 2019 Toyota Highlander features a 6.1-inch touch-screen display in its infotainment center and features Entune™ Audio technology. The 2019 Enclave offers room for seven passengers along with 23.6 cubic feet of standard cargo space. Drivers can split or fold the second and third rows of seating to expand the Enclave’s cargo area to make room for even the bulkiest cargo. When drivers fold down the third row of seats the cargo area will expand to a spacious 58 cubic feet of space and when the second row of seats are also folded the 58 cubic feet of space will expand to a maximum 97.6 cubic feet of cargo space.